Among the tribal people of the Northwest cultural area there are four worlds. The natural worlds are the Sea, Land and Sky, abundant with life familiar to us: Eagles, Ravens, Killer Whales, Salmon, Bears, et.al. The fourth world, or Spirit World, is accessed only by certain people, often with the assistance of particular animals and their power. The same animals that we recognize today long ago interacted with humans, resulting in remarkable, or supernatural, events that enhanced the human realm. Raven stealing the Sun, Moon and Stars to bring us light is likely the best known. 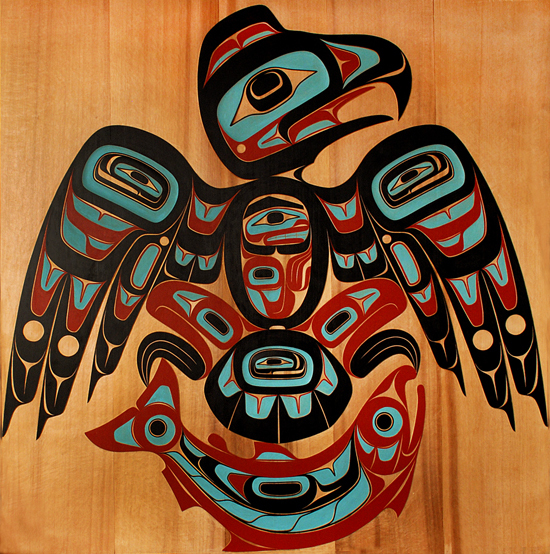 Geographical features and supernatural animals such as Thunderbird are also involved in many parts of tribal histories. 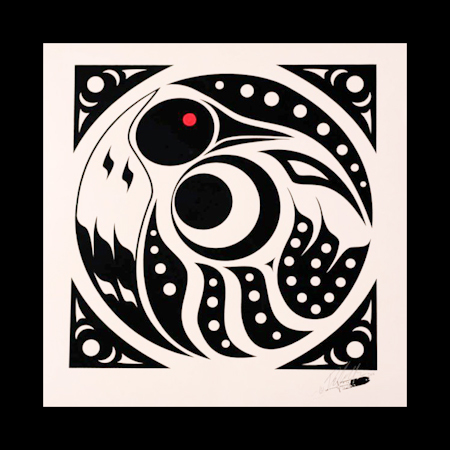 Natural & Supernatural: Contemporary Art of the Northwest Coast, our latest show at Gallery Cygnus is part of the ever-evolving tradition of representing the history, mythology, identity and ownership for the people of the coast. Individual artists in this show work within this context, but they also exhibit a wide range of style and expression. They push the boundaries through this effort.